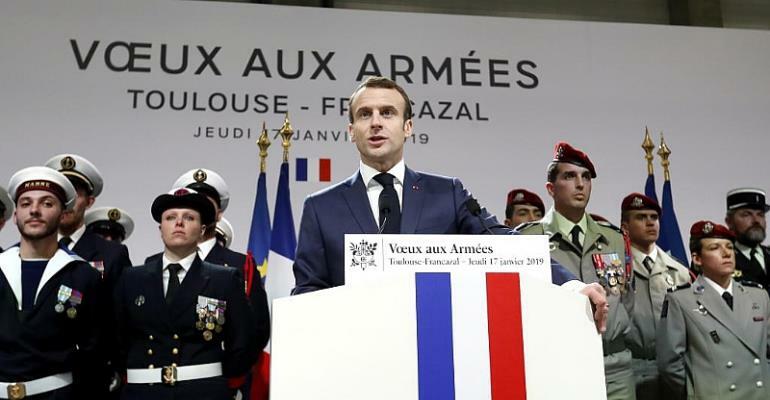 French President Emmanuel Macron, alongside former President Nicolas Sarkozy, is on Sunday to commemorate the 75th anniversary of the Battle of Glières in the Haute-Savoie region, where more than a hundred resistance fighters known as "maquisards" were killed by Germans soldiers and French militias. Macron made a speech at the ceremony held at the Morette necropolis before visiting a monument dedicated to the Resistance, erected in 1973. Macron was accompanied by ministers Jean-Michel Blanquer et Geneviève Darrieussecq. There were concerns that ant-government Yellow Vest protesters in the area might be planning a way to disrupt the proceedings. The area, located high up on limestone hills in the Bornes mountain range was a key strategic rallying point for Resistance fighters in 1944. At 1,450 metres, and difficult to access, it was an ideal place to receive arms parachuted in by Allied forces. On 26 March, 1944, the pro-German Vichy government launched a siege against the 465 "maquisards" on the plateau. 124 of them were killed in the ensuing clashes, nine went missing and 16 died after being deported. Glières became a symbol thereafter for other Resistance fighters and was heralded on London radio. However, some historians disagree with what happened during the war at this time. Claude Barbier wrote a thesis on the subject in 2011 and referring to previously unused archives, he came to the conclusion that a real 'battle' in Glières never took place. Instead it was a massive use of force by German soldiers and their French Vichy counterparts against the maquisards who were in retreat, exhausted and starving and didn't have the resources to fight. The National Monument to the Résistance, is a sculpture made of concrete by Émile Gilioli, representing a bird with its right wing amputated. It was inaugurated on 2 September 1973 by André Malraux, former minister under General de Gaulle and former resistance fighter. François Mitterrand went to Glières in April 1994 for the 50th anniversary while Nicolas Sarkozy went in 2007 just before the presidential election and visited every year during his five years in power.